Traditionally medical products, devices and their related packaging has been ’sidelined’ in much of the debate around the environment, where the major focus has been on retail products. However, it is estimated (Mulligan) that medical packaging contributes between 30% to 50% (or more) of the medical waste stream. There is a lot of work going on in the background, within the National Health Service (NHS) in the UK, and further afield globally, as healthcare practitioners are put under increasing pressure to ‘go green’, become more ’sustainable’ and reduce their ‘carbon footprint’. These initiatives go right to the core of their infrastructure, looking at everything from operating theatre furniture and equipment, through to medical devices and all related packaging. However, there are wider ramifications, as it apparent that these sustainability initiatives will also enable huge cost benefits, improved regulatory compliance, and enhanced corporate social responsibility (CSR) when done correctly. So no pressure then ! On the face of it, this looks like a huge and daunting task, but with the aid of modern modelling techniques, such as those used by Walmart and by Marks & Spencer (M&S) in their ‘Plan A’, data and issues can be quite easily ‘chunked-down’ into manageable bite-size segments. This can help prioritisation and enable ‘quick wins’ on the highest ‘value creating’ initiatives. 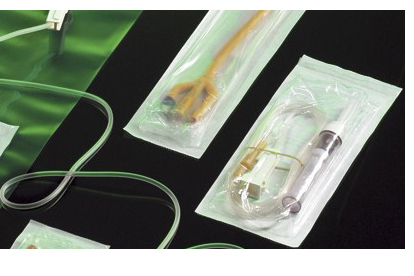 It is important that suppliers and medical device manufacturers think about these sweeping changes and, if not already doing so, start to design and develop medical devices & healthcare packaging to meet these more stringent requirements. Next-generation packaging must be: 1) easy to manufacture; 2) meet stringent regulatory requirements; 3) meet the needs of distributors, healthcare institutions, and medical practitioners; and 4) minimize impact on the environment. Mulligan talks in greater detail about all of this in an interesting article ‘Using a Life Cycle Analysis approach in medical packaging‘ recently published on the Healthcare Packaging website. Have a read and let us know what you think!